Hair oils - what, when, how? Hair oils – what, when, how? Natural hair oils – you have surely heard about them and you know that they are not only popular but also incredibly effective. It is true. Nothing will nourish and condition your hair the same way as oils obtained from plants and nuts. With the use of natural oils, hair oiling is done. It is a very simple beautifying treatment. All you have to do is to apply oil of your preference on your scalp and leave it in for a wile and finally wash off with a gentle shampoo. What is more, you can apply it on wisps and leave in without rinsing. However, keep in mind that in this case, you must avoid applying it on the scalp. The most intriguing issue, when it comes to all beginners in the field of hair oiling, is to chose the proper oil, the method of application and the frequency of use. What kind of oil will be the best for me? How to use it? How often? Is it alright to combine different methods of oiling together? Maybe it would be better to chose only one way of application and hold on to it? We would like to offer you our help. 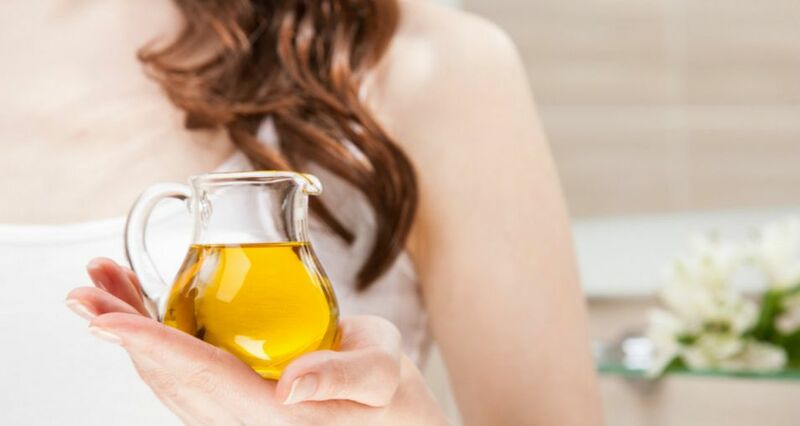 At the beginning of the journey with hair oiling, first of all, we must learn that the best method is the one that allows oil to be absorbed not only by hair but also by our scalp and hair bulbs. Such treatment is done with the use of natural oils of cosmetic products especially designed for that task. Not every cosmetic rich in natural oils is suitable for such ritual. Products that contain parabens, silicones, monohydric alcohols (so called ‘bad alcohols’) – even if they had large amounts of natural oils – they are not suitable for applying on scalp. For a few-hour hair oiling, including scalp massage, it is best to chose 100% pure natural oils. You can also choose cosmetics that clearly and explicitly say that the product is suitable for application on the scalp (it is usually described in the use directions in the leaflet or on the packaging). It is best to perform such treatment 1 – 2 times per week. Deep and sever-hour regeneration with the use of natural oils is worth improving. In order to do that, you should ‘feed’ your wisps with a daily portion of oil. Natural oils work not only as a regenerating conditioner. Applied on dry hair (for example in the morning, before or after styling your hair), instantly condition strands, facilitate styling, combing, add shine and provide beautiful appearance. What is more, they protect hair from any damages throughout the day. Furthermore, oils can also be applied only on the ends to work as a serum and protect them from drying. Such daily beautifying treatment strengthens hair, can be done with the use of widely available cosmetics. In many online shops or drugstores, you can find preparations with appropriately balanced blends of oils. It is advisable to look for the ones that are matched to your particular hair porosity. Natural oils provide variety of use. In addition to a thorough, few-hour hair oiling, you can also add it to masks or balms, apply after washing on damp hair without rinsing or on dry hair (even several times a day). One method of oiling hair does not exclude the other. You can choose your favourite technique and perform it regularly or combine two or three to ensure the best nourishing, regeneration and protection against mechanical damage and adverse climatic conditions. Good luck! Oils for colour-treated hair – RANKING Copyright © 2019.